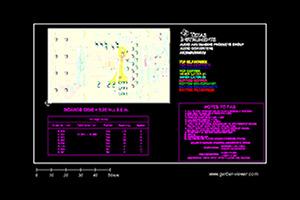 This design is a digitally-controlled, grid-tied, solar micro inverter with maximum power point tracking (MPPT). Solar micro inverters are an emerging segment of the solar power industry. Rather than linking every solar panel in an installation to a central inverter, solar micro inverter-based installations link smaller, or “micro,” inverters individually to each solar panel. This configuration lends itself to many benefits, including elimination of partial shading conditions, increased system efficiency, improved reliability and greater modularity. 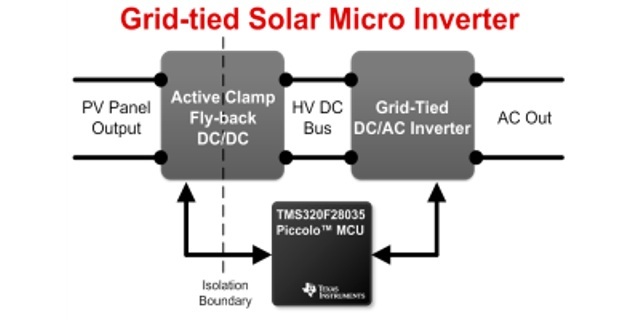 For this design, a C2000™ Piccolo™ TMS320F28035 microcontroller (MCU) is the digital controller for the complete inverter, including control of the power stages, MPPT, and grid-tie synchronization. 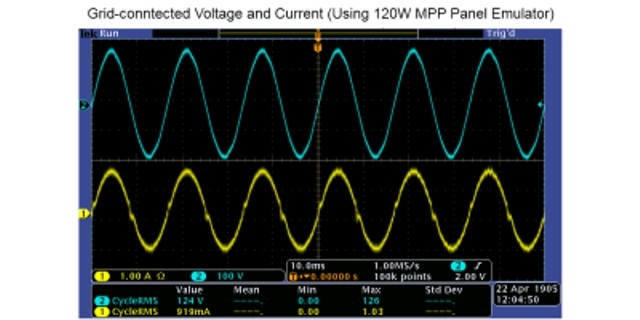 The power conversion stages include 1) an active clamp fly-back DC/DC converter with secondary voltage multiplier and 2) a grid-tied, DC/AC inverter. The design achieves 93 percent peak efficiency and less than 4 percent total harmonic distortion, providing more power output per solar panel, reducing detrimental heat dissipation, and increasing system longevity.